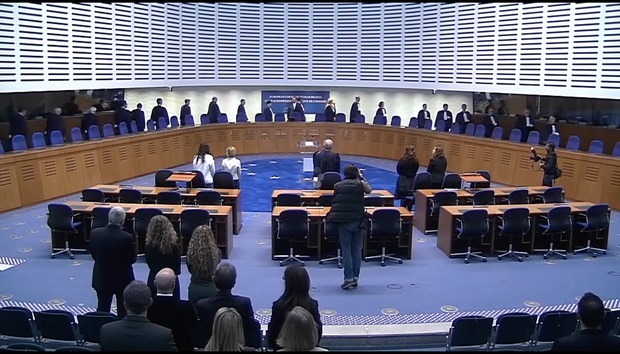 An artificial intelligence system designed to predict the outcomes of cases at the European Court of Human Rights would side with the human judges 79 percent of the time. Researchers at University College London and the University of Sheffield in the U.K., and the University of Pennsylvania in the U.S., described the system in a paper published Monday by the Peer Journal of Computer Science. "We formulated a binary classification task where the input of our classifiers is the textual content extracted from a case and the target output is the actual judgment as to whether there has been a violation of an article of the convention of human rights," wrote the paper's authors, Nikolaos Aletras, Dimitrios Tsarapatsanis, Daniel Preoţiuc-Pietro and Vasileios Lampos. The system examined public court documents relating to 584 cases of violations of articles 3 (prohibiting torture), 6 (right to a fair trial) and 8 (respect for private life) of the European Convention on Human Rights, which has been ratified by 47 European countries. The court documents have a distinctive structure, discussing first the procedure by which the case reached the court, the facts and circumstances of the case, relevant law, and the legal arguments applied. Then, for each alleged violation of an article of the convention, they examine the parties' submissions and the judges' evaluation of their merits, before concluding with the verdict or, in the court's terminology, the operative provisions. The researchers extracted clusters of words (N-grams) from the procedure, circumstances, relevant law, facts and legal argument sections of the case documents, and to generate lists of topics, or semantically related groups of word clusters, for each case. Then they applied machine learning algorithms called support vector machine (SVM) classifiers to determine which of those data inputs most accurately predicted the outcome of the cases. They set aside 10 percent of the cases to test the accuracy of their system. Of all the data, they found that it was the topic list and the circumstances of the case that provided the best predictors of case outcome, allowing them to predict 79 percent of verdicts in their sample of article 3, 6 and 8 cases correctly. The researchers don't see AI replacing judges or lawyers, but say it could help them rapidly identify patterns in cases that lead to certain outcomes. "It could also be a valuable tool for highlighting which cases are most likely to be violations of the European Convention on Human Rights," said Aletras. That could well be of interest to the court in managing its workload: In 2015 it delivered 823 judgments -- but struck out or dismissed 43,100 as inadmissible. The previous year, almost twice as many were ruled inadmissible, for 891 judgments delivered. This suggests that judges at the court are realists, not formalists, and choose to take into the importance of non-legal facts, such as the life circumstances of a plaintiff. Studies of other high-level courts, including the U.S. Supreme Court, have uncovered similar patterns, the researchers said.